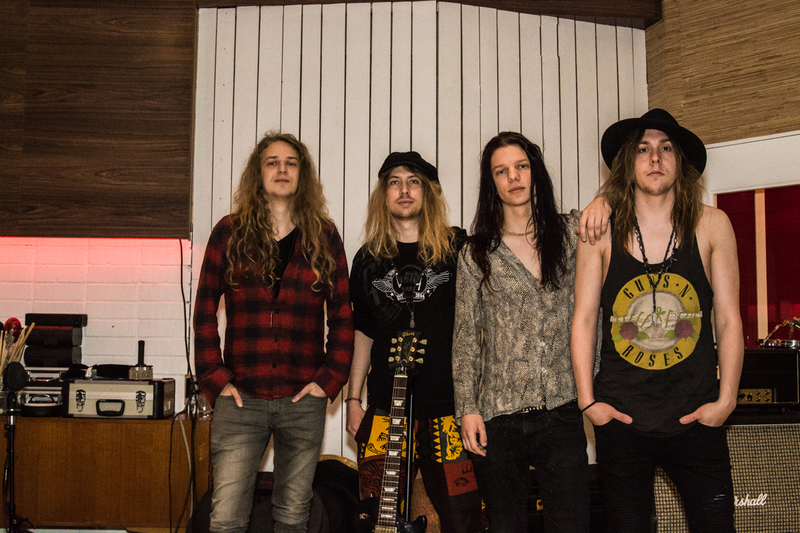 Shiraz Lane is one of Finland´s most promising bands from the underground scene. 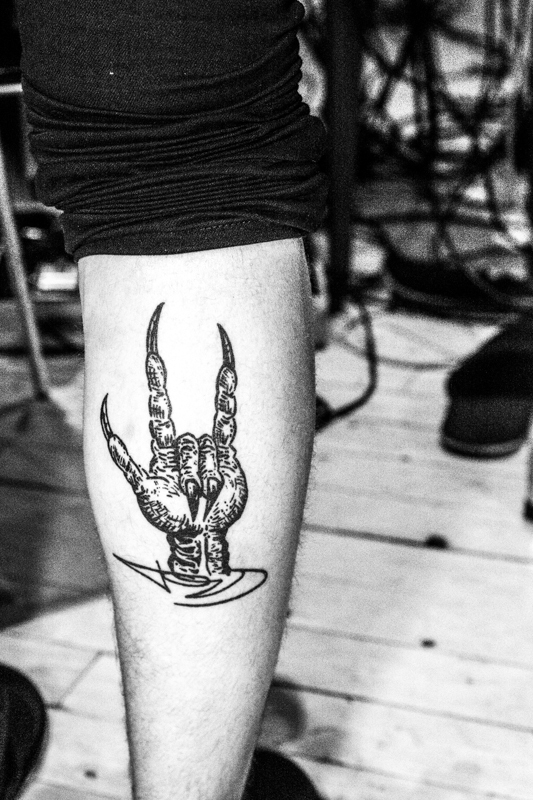 Taking rock music and turning it into something completely new is exactly what today´s live scene needs. 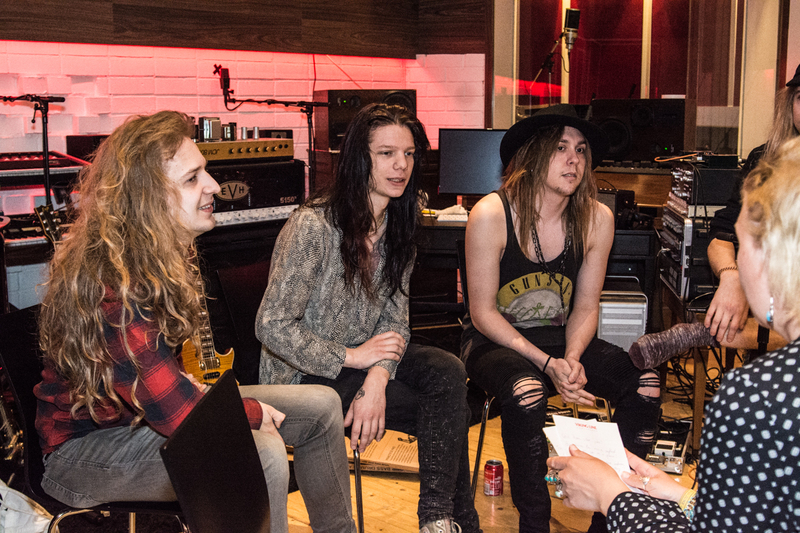 Rockbladet met four of the members during the recordings of the 2nd album due next year and got some scoops for you. After walking around looking for the some what hidden studio, Studio Gröndahl/Fascination Street Studios a door opens and out comes drummer Ana Willman to greet us. 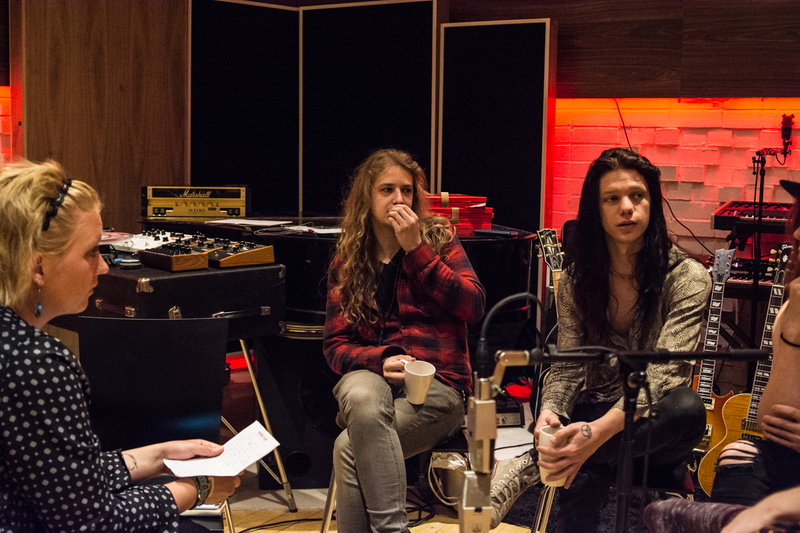 The rest of the guys have just woken up after another late session in the studio recording the instruments. 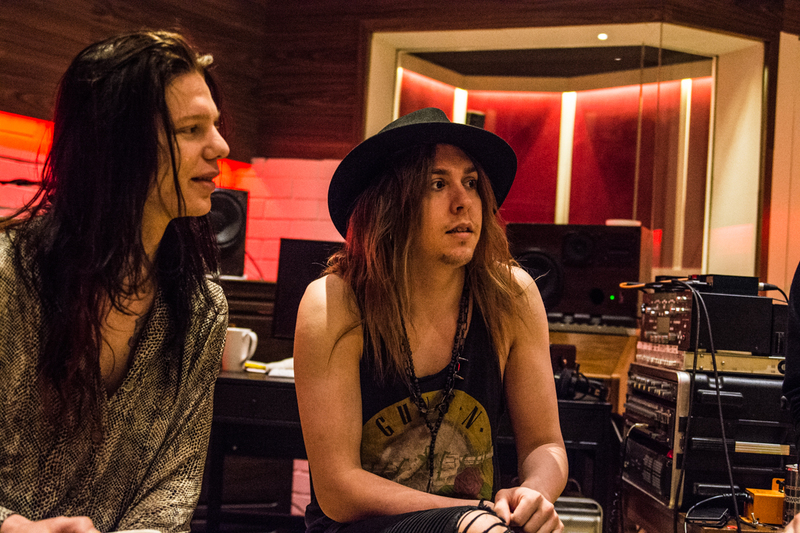 While waiting for the group to join us, bass player Joel Alex and Ana shows us the studio and during the small talk, Joel tells us he is also a big fan of Guns N´ Roses. 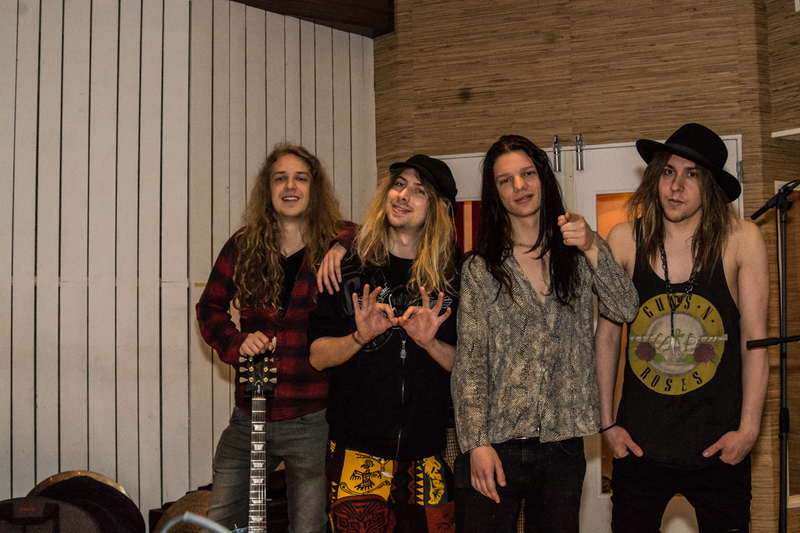 After looking around for the fifth member, singer Hannes Kett we find out he is still back in Finland and will arrive later to record his parts. A circle of trust is formed by some chairs and the interview can begin. Shiraz Lane was founded back in 2009, so why did it take you five years to complete the final line up? Ana- We couldn´t find the right members and the lineup wasn´t perfect until we finally got our bass player, Joel (Alex) to join the band. He was in another band at the time, but we knew each other and asked him three times before he said yes. It wasn´t until 2011 that we started to approach doing more gigs and demos, as well as rehearsing our own songs. Why did it take you so long to join the band Joel? Shiraz Lane is considered one of Finland’s up and coming bands from the underground scene. I only know what Sweden’s underground scene looks like, what is the state of the one in your country? Ana- Well, to be honest it´s not as big as it was a few years ago, because so many of the venues have disappeared. 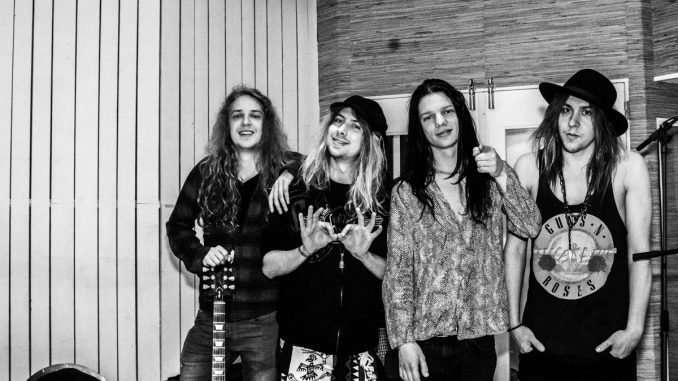 So it almost seems like it has faded away, the Helsinki rock n´ roll scene started to sort of die when Santa Cruz took off and took everything to a new level. All the old bands went away, but don’t get me wrong, there are still good bands and the city is pretty active. Our first year as a band was really good and it was easy for us to get gigs, but it´s difficult for us to say what the general state of the underground scene is. Because we only know what it´s like in Helsinki, like you know the Stockholm scene. The band won the Hard Rock Rising competition in 2014 and the year after you won Wacken Metal battle. Why did you decide to compete in music and do you think you can really compete in such an art form? 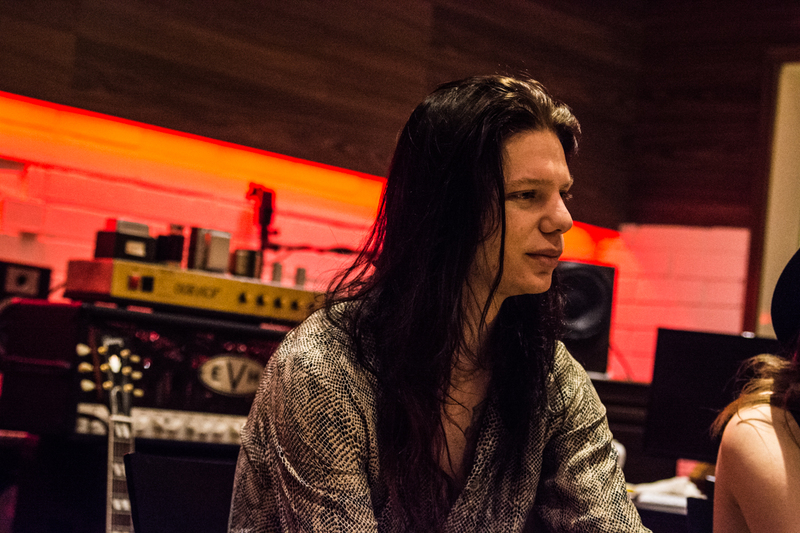 Miki Kalske (rhythm guitar) - We did it because it gave us the opportunity to play in front of a big audience and the Hard Rock Rising competition also meant that we would have a chance to play abroad in Canada. But the biggest accomplishment wasn’t to win the whole thing, instead we consider meeting our manager Heta Hyttinen, that has been very good to us a bigger win. Ana - There are two sides when it comes down to the old school musicians, one that says you can´t really compete in music. And the other one say you can, but for us it meant that we could meet people who work in the business and have some what a influence on them. Young bands, like us back in 2014 would never have a chance to meet them or a manager like Heta if the competitions didn´t exist. It is not about the victory, instead it is really all about the gig and the opportunity to open new doors. You toured with Lordi, one of Finland’s most well-known acts from Finland a while back. What did you learn from that experience? Ana - I think we can all agree on that we learned about the life on the road in a really good way. How it all works, because you really don´t do much else then travel to one place, set up, wait for the gig, do the gig and then leave for the next place. Before the tour with Lordi, none of us had any idea what it would be like to be on a real tour. You basically live like a nomad and to manage being seven people in a really small place and share everything was a healthy experience in a lot of different ways. I mean, although you travel to different countries and cities, you never really get to see anything, except for the backstage area. We have never had any major problems in the band and have been living together before as well as traveled together, but some bands just can´t handle that kind of thing, tells Ana. But you aren´t just opening up for other bands. Tell me about the recent headline tour that took place in Spain, it must have been really fun to finally get out there and show people you can do it on your own as well? 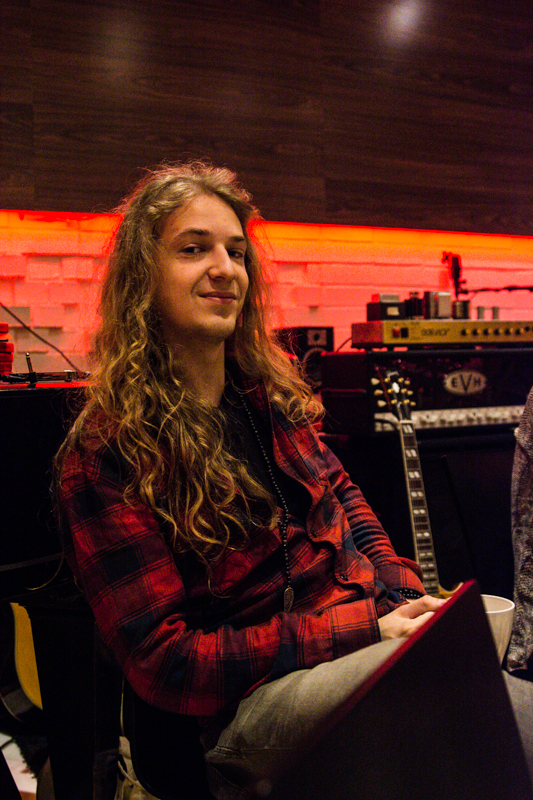 Miki Kalske, rhythm guitar - It was more of a fulfillment, we had no expectations what so ever and everything worked out great. The only problem was the langue barriers, but at the same time it was sort of unreal that people would come and see us, we´re just a band from Finland after all trying to break through. But the word has been spread and it was a really special tour for us. 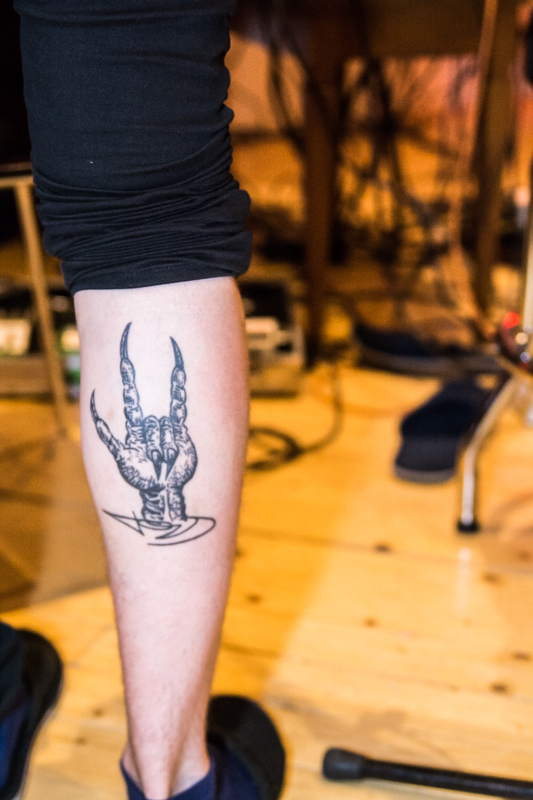 Finland has a lot of talented musicians, as well as really good studios. 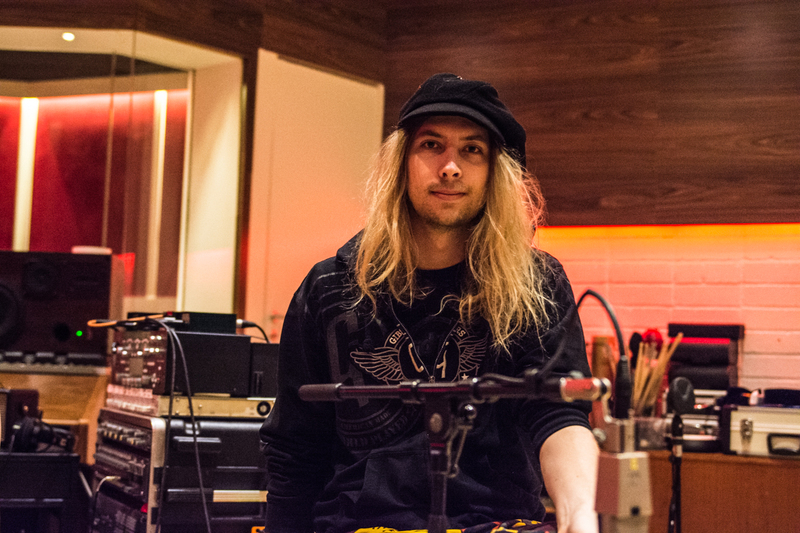 Why did you make the decision to record the album here in Stockholm, at Studio Gröndahl/Fascination Street Studios with Per Aldeheim? 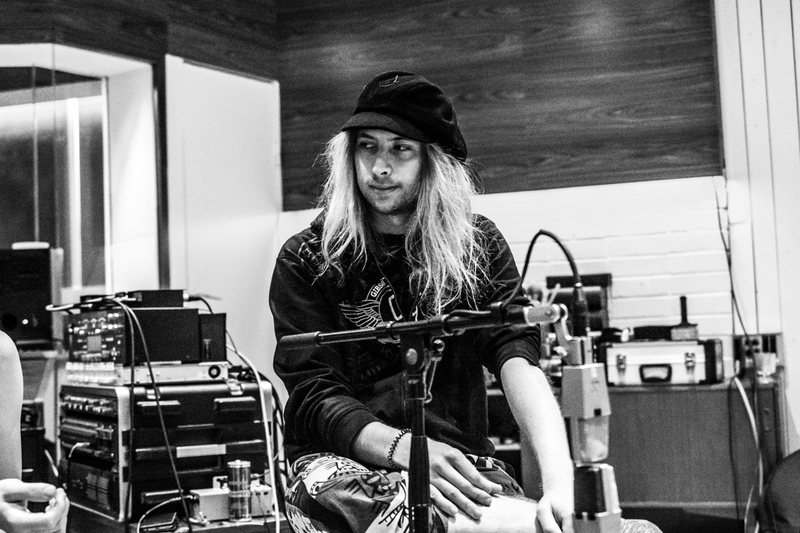 Jani Laine (lead guitar) - Per has been writing and working with other bands that we also looked at, and decided to stay for a few days just to see what we could do together. The songs were written by us a while back, so we recorded some demos and then started to work on them for real. But we met like five times before, just to make sure we would all get along and now he´s like a member of the band. Ana - I actually think it is a really good thing for a band not to be at home, while working on an album. Because if you’re at home, then you go to the studio and stay there for about eight hours or so and then leave it behind when you go back home. But being somewhere else allows you to focus more and put all your energy on the production, because there are no distractions. Joel - I agree, it’s easier when you’re away, to have your mind set on making this happen. During the interview, drummer Ana takes on to answers most the questions and unlike most drummers who can´t sit still, he´s focused and putting a lot of effort into the interview. The guy’s aren´t afraid to make a lot of eye contact and after a while seem to be somewhat relaxed, but still a little nervous. All of you are still in the early twenties, but this is your second album after the first one was released just last year and received great reviews. So how has the production behind the debut album and this helped you mature as musicians? Ana- The understanding of how we should produce the songs and maybe also come up with better ideas regarding the album itself, has grown a lot. Now t it´s not like ok we have these songs so now the foundation for an album is settled. I believe that we realized how important the concept is and how to lay out the album. Working with a producer that gives us a lot of ideas is also important, because there is no benefit in staying stuck to your own ideas all the time. You have to be open-minded and be prepared to be influenced by them, but also from everything else. Something that you can learn from or listen to, a movie you watch because everything is in a way a piece of art and as a musician, you can get something out of it into the music as well. 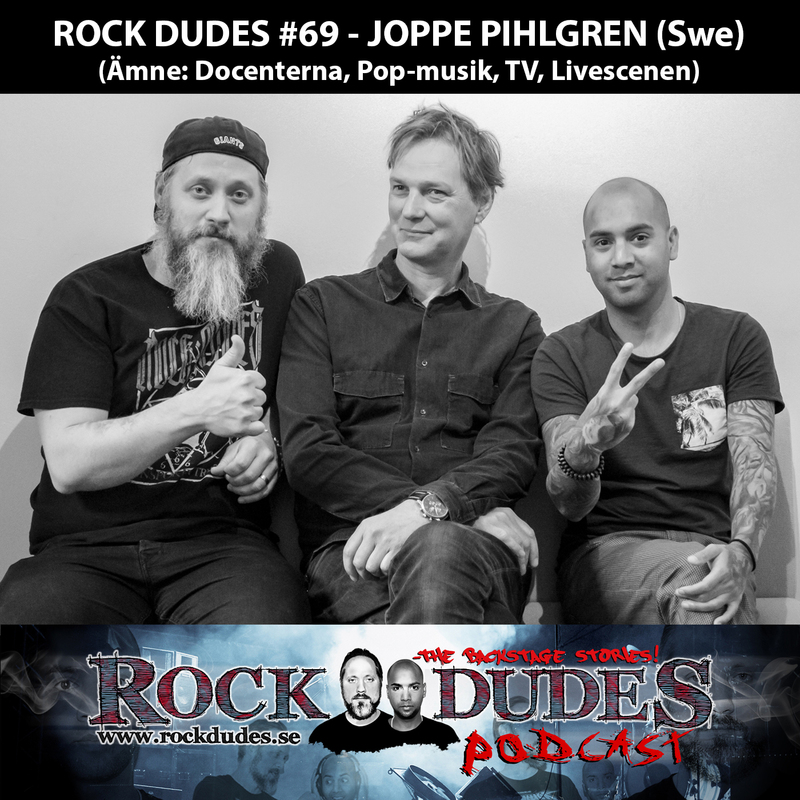 Joel - I also think that since we have played about 100 shows, we´ve become a lot better at playing but also writing the songs. The fact that we are comfortable allowing the producer to also be involved on a higher level has helped. We´re lucky to have one that goes well with the group and he is defiantly not an outsider, like we said he is more like the 6th member. What do you want to tell people through the music you create? Ana - I don´t really say that much through the music that I wouldn’t say otherwise, but as a group, we would defiantly want them to know that not a single person in the whole world is more valuable than someone else. Jani- For me, music is just another way of expressing who you are. It gives us a chance to transform our thoughts and feelings through the instruments and lyrics and into another shape. I just want to make people happy and give them the opportunity to forget all the bad stuff for a moment. Ana - Yeah, forget all the bad feelings, the bad thoughts for just a short period of time and leave it behind during that moment. Joe l- Being able to play live in front of an audience and connecting with people through the music, that is the best thing. You´re all really good friends, but keeping a band healthy and intact also requires being able to see each other from another perspective. How do you balance being both friends, but also co-workers? Ana - A lot of the work is so much fun and being able to do it with your friends is great. Sure, we are working partners, but if we saw it as work, it would lose the magic. This is something that we basically have done since we were ten and wanting to play. Music and making it is important to all of us, so they are not my co-workers, it´s work but this isn´t work at the same time. What we share is such a major part of ourselves, so it can´t be reduced into something as simple as work. Joel - What we share and put together has a certain chemistry and makes us complete. Let´s go back to talking about making time for music. It is obvious nothing can stand in your way and that making time for music isn´t an option. More like other things need to take a step back and let the art form ahead, am I correct? Ana - What else is there to do? This is the only thing for us, to be honest, we don´t make a lot of room for other things. 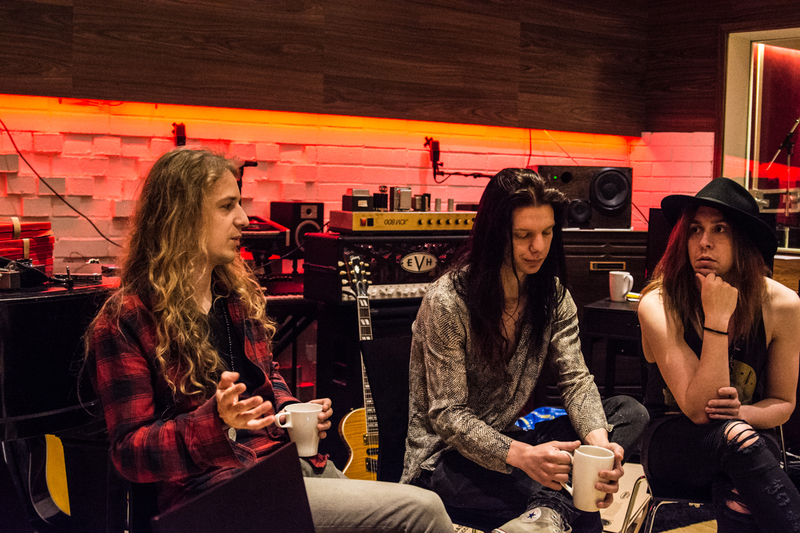 Now we´re in the studio, next up is touring and before that intense rehearsing so there isn´t that much time for anything else. Sure we do enjoy a day off, but never felt like we are in need of one. If I could though, I would like to take a year off to just travel and see the world. If I wouldn´t have gotten into music, then I´d be travelling all the time instead. Jani - This is the main thing for us, so we make time for it. None of us can go more than a day or two without practicing, it gets boring after that. Joel - You get used to doing it so it feels natural. Last two questions, you recently signed a deal with Dragon Productions, why them? 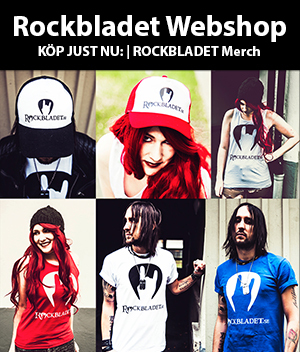 Ana - It´s a good way for us to get more gigs in Europe and some friends back in Finland are also signed by them. You have to understand that the whole process took about two years. When we had our meetings and tried to figure things out, it was obvious we are on the same page. Why have you never played in Sweden? Jani - Because we never had any offers, it is always hard for a smaller band to play abroad. But if there is a festival or something, it´s easier. Our first gig abroad was in Canada and then the next one in Japan, after that we started to book gigs in Europe. So we went as far away as we could first and then started to focus on our neighborhood countries. We actually just started our tour with Brother Firetribe for their 15th anniversary tour and have a few festivals left this year, among them The Finnish Invasion on 29th of November at Kraken with Santa Cruz, Sister and Strykenine, that will be fun and we are really looking forward to it. 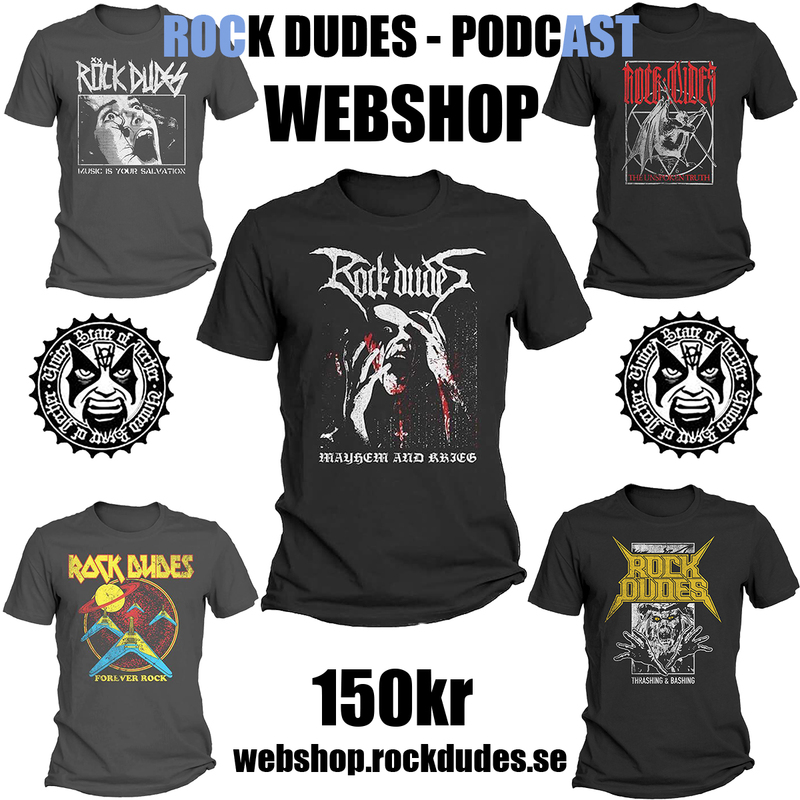 Airbourne-tävlingen är nu avslutad – blev du en av vinnarna?